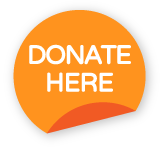 You can leave a legacy by including a donation to The Movement Centre in your will. We have supported more than 500 children to gain independence and a better quality of life through increased movement control but there is still so much to be done. We are grateful for every gift we receive, no matter how big or small. Every donation makes a difference to our work. you to leave a gift to both the people, and causes, that are close to your heart. Charitable legacies are exempt from Inheritance Tax so every penny of your gift will go to supporting our work. It is easy to include a legacy to The Movement Centre in your will but it is always best to talk to your solicitor or advisor when writing a will. Residuary gift – A residual gift is a remainder or a percentage of whatever is left from your estate once provision has been made for your loved ones. It is inflation proof as the proportion of your gift will stay the same over time and you won’t have to update your Will in the future as circumstances change. Pecuniary gift – A gift of a specific amount of money and the value will not increase with inflation. Specific gift – The gift of a specific item left in your will.